The South Florida dealership puts you in the driver's’ seat with quality pre-owned cars. Palm Beach Auto Sales Outlet is excited to announce its grand opening on February 1, 2018. 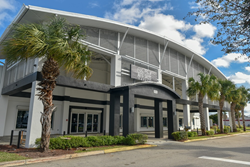 Conveniently located at 1466 North Military Trail in West Palm Beach, the dealership specializes in quality pre-owned & luxury pre-owned vehicles. With convenient “one-stop” services, customers can drive away in a reliable automobile that fits their needs and their budget. Palm Beach Auto Sales Outlet offers an extensive inventory of all makes and models, including both domestic and import luxury brands. Many of the automobiles are one-owner trade-ins. Each of the pre-owned vehicles is rigorously inspected to ensure quality, safety, and appearance meet the Outlet’s high standards, and those of their customers. The newly launched dealership will feature amenities designed to make the car buying process easier, less intimidating, and far more convenient. An expansive showroom and comfortable waiting areas are welcoming and designed to create a relaxing atmosphere. The emphasis is on a positive, no pressure experience; the goal of the Palm Beach Auto Sales Outlet team is to match the right vehicles with the right owners. To accomplish this, this pre-owned dealer offers a helpful car finder service, onsite vehicle prep and service, and favorable financing options. They will even purchase vehicles whether owners buy from them or not. See their pre-owned vehicle specials available now. For more information, call 561-465-8296 or visit http://www.PalmBeachAutoSalesOutlet.com. About Palm Beach Auto Sales Outlet: Palm Beach Auto Sales Outlet offers a large inventory of quality pre-owned vehicles at affordable prices. With a full suite of onsite services, including car finding, prep and service, financing, and trade-in, customers can look forward to a convenient, friendly car-buying experience. Contact Palm Beach Auto Sales Outlet & schedule your test drive today.